Very useful info as I dig deeper into tone. Much appreciated! I’m fascinated by what the looper can do, especially over short settings, guess I’ll have to find out myself on that bit. really useful – loved the ratings too. Do you still use the M13? This is my first year using it and love it just for the fact that it is so simple and immediate compared to other multi-fx I’ve used in the past. 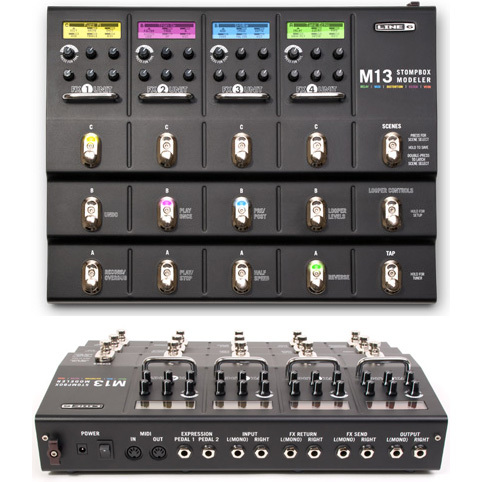 Although the later line 6 multifix models seem to have more features – they’re often squirred away below menu after menu from what I can tell – but the m13 just has a super intituitive way of getting to the effects.